A little while ago I came across someone who appeared to be a little bit special in the world of folk instruments, and he arranged to have a Kazoo to be shipped to me. 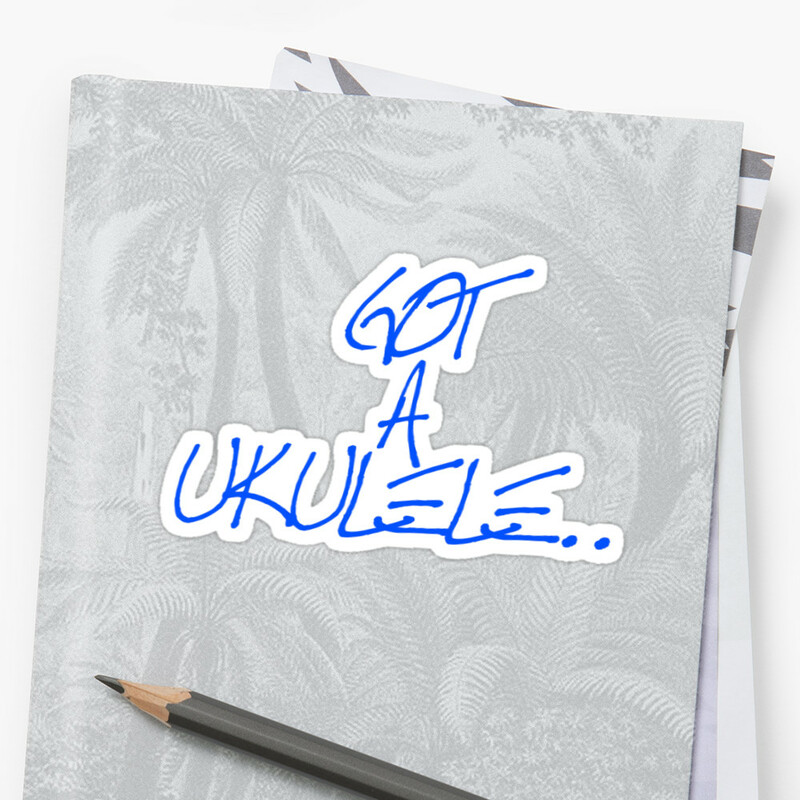 I must admit that at the time I did wonder how I could get more than only a few words down about a kazoo on Got A Ukulele. I mean, it's just a kazoo isn't it? Pretty simple stuff? How wrong I was - say hello to the 'Great AsWeGo Performer FatBoy Kazoo'. The Great AsWeGo Kazoo Factory was founded in 2010 by a guy who goes by the name of 'Doc Kazoo'. Doc, it also turns out, happens to be a really nice guy, and someone who seems to have re-defined the term 'customer service'. Doc was born and raised in the western North Carolina foothills - an area rich in old musical tradition. After many years in the US Navy, Doc retired and after a spot of travelling decided to devote his time to handmaking traditional folk instruments. As a child he had been taught by his Dad to make handmade wooden kazoos in the Carolina style, and in 2010 he set up the Great AsWeGo factory at his homestead in Lake Senica, Florida, USA. Whilst majoring on kazoos, Doc also turns his hand to making a range of folk instruments including cajons, guiros, diddly bows, and jawbones. I had heard a bit of a buzz about Doc growing online so we hooked up and he agreed to make me a kazoo to take a look at. And, you see, when you order a kazoo from Doc, this is rather unlike ordering any other instrument... as you will see. But why a kazoo? 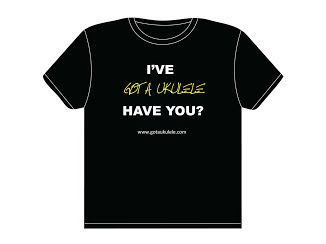 This is a ukulele website? 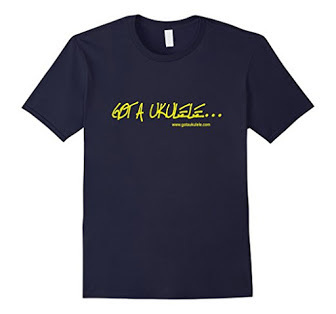 Well, I am sure many of you will agree that lots of uke players and groups do like to dabble with the kazoo as accompaniment. 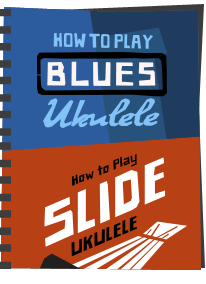 For me the kazoo not only suits the ukulele voice (and, like the uke, makes you smile!) but it also shares the same humble beginnings. 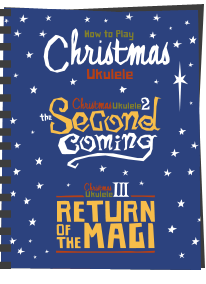 For me it fits perfectly on Got A Ukulele and am sure there are many readers who will find this of interest. Doc makes a large range of wooden kazoos in all sort of shapes and sizes to suit the player, and his range is growing. Want a tiny kazoo that can be played hands free? You got it. Want a jumbo kazoo? You got it. Want a kazoo with double resonators held like a harmonica? You got it! (Seriously!) At his store Doc often has a range of ready made kazoos he can ship to you immediately, but as you will see from reading further, why would you want to miss out on the fun of ordering one to order? What do I mean by that? Well this is where that 'S word' comes in again - Service. I generally find shopping online for anything these days to be a fairly sad affair. It is all pretty faceless and sterile, you click a few buttons, your product arrives, and that is it really. Doc has rekindled a level of connection with a customer which I honestly thought was lost these days. He has totally taken me aback. You see, from the moment you order a Great AsWeGo kazoo, Doc is in touch with you right away, letting you know what is happening with the order. And by that I don't just mean, "it's done, it's in the post" (though he does tell you that too... ) Oh no, quite the opposite. As part of your order, Doc ensures that you are treated to a complete and personal behind the scenes look at your kazoo being made. His messages are friendly and interesting, letting you know what he thinks of the grain and the tone, advising on the finish of the instrument (he offers both a basic butchers block sealant or the popular beeswax finish - I went for the latter). In short, his great enthusiasm makes the order more than just a mere 'purchase' and more of an 'event'. I can't remember waiting for something in the post with quite so much anticipation! 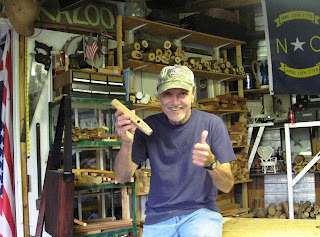 Video number two shows your kazoo taking shape with the sanding and finishing, and video three is a final sign off in which Doc shows you the finished product, gives it a final sound test and wishes you well. These are NOT generic videos and the personal angle is just brilliant. Doc records these for every customer who orders a kazoo to be built from scratch. Why don't more manufacturers do this? Doc then ships his instruments all over the world. I particularly like the note on his website that he tries to be totally green in his production, with all his packaging being re-used cardboard. In fact he says if he could find a way of creating recycled packing tape he would! The whole process takes about a week or so to make depending on how busy he is (and it is first come first served). Doc also sends his kazoos with free lifetime repair and maintenance. So long as you haven't abused the kazoo, you can ship it back to Doc at any time for the finish to be re-applied, resonator cap replaced, or have a new membrane fitted. Seems he thinks of everything! So what about my particular Kazoo? This model is called the FatBoy and it certainly is quite a beast, designed to have a fuller and louder voice than some of the smaller models in his range. It is a performers kazoo, and designed to be clamped when played, in particular in a harmonica neck brace. Of course it can also be held and played in the hand too. It's a meaty solid affair, and a far cry from the toy tin kazoos that you would receive in a Christmas cracker. It feels built to last and just cries out to be held. Doc uses a range of woods for his instruments, and this one is made of a rather beautiful piece of red cedar with a cherry wood resonator cap (on a Kazoo, the buzzing sound is created by the players humming vibrating a small disk of thin paper or plastic held over a hole on the top of the instrument. And yes, in keeping with the green ethos, Doc hand makes these too out of old shopping bags. The package also arrives with some spares as they do wear out eventually. That cherry cap keeps the membrane held in place and is firmly fitted with two brass screws meaning that replacing the membrane is a pretty easy affair. Through the centre of the kazoo is a drilled hole that allows the air to pass through - fatter on the 'mouth' end of the instrument. Then when finished and shaped the whole thing is sanded smooth and finished. It is nicely shaped all over, and the mouthpiece in particular has a nice feel to it. Absolutely no sharp edges. The full package - spare membranes, wax, kazoo! As I said above, I opted for the beeswax finish which gives the kazoo a beautiful feel (and smell!). The wax protects and seals the wood as it is going to get wet from the moisture in your breath and on your lips so is a necessary addition if the instrument is to last. As the beeswax will eventually wear down, Doc also thoughtfully provides a tin of wax for re-applying in the parcel. The finish on this FatBoy really is great, and not just the beeswax finish itself. As I say above, the sanding of the instrument is really nicely done - an important thing for something you are going to put in your mouth! It is all silky smooth and tactile. On the FatBoy model, Doc carves a notch into the top and bottom of the kazoo to ensure it is held steady in a neck brace without slipping. All in all, not only a kazoo that is striking to look at but also a pleasure to hold. There is just something about handmade items that make you want to hold them I find. A quick word on the look of his kazoos. These are not made to a blueprint by a machine and Doc explains that whilst his various designs follow a general pattern, and as they are sanded in by eye and hand, no two kazoos made by him are alike. As such this kazoo I now have is completely unique to me and I really like that aspect. But what is it like to play? Well, I won't try to get all over the top and try to suggest that kazoo has a range equivalent to a vintage violin, it is, after all, a kazoo, and I am sure Doc won't mind me saying that. By its very nature it is a simple instrument. But, it does sound great! I already had a couple of the more common mass market kazoos in my gig bag (the traditional tin kazoo, and one made of plastic). Compared to both of those, not only is the FatBoy far louder, but it has a much broader tone - certainly NOT tinny or thin sounding. It's warm and woody, and takes very little effort to get a sound from it. It also is far easier to get both low and high sounds out of it, something my tin kazoo can lose the plot on, and (it may be in my head) if feels like you can control and shape the sound much more. It's certainly a joy to play with a great rich sound. Of course, it is also distinctive looking too, with a shape that will lead any audience to say 'what is THAT?' - and that, for me, is also a good thing. And one question that may be crossing the minds of some people (it had crossed mine early on). How can Doc offer this level of service - I mean if a ukulele company treated their customers like this then their prices would treble? Well Doc explains that he isn't doing this to make a heap of profit. It is his passion. He is a folk artist, and he enjoys spreading the word. Boy, does that come across in his work and I applaud him for it. So finally - a sound sample comparing the FatBoy to a generic tin kazoo. It's pretty hard to record a kazoo accurately, but I think the difference is clear! I think I found a little bit of gold dust here when I came across Doc. That may sound like I am being over the top, but when a product is made with this sort of devotion and service, and with a service level as high as this for a handmade, beautifully finished instrument, how can I really give this anything less than top marks? Highly recommended! Cheers Doc! Expect I may be ordering another one to go with this! Thank you so very much for your kind words. This old kazoo maker is humbled indeed. My goal is to always be more than a faceless website with a shopping cart. I love being able to share with everyone the experience of watching their actual kazoo being handmade the old fashioned way. I love making kazoos and getting to really meet the people that will be playing them as they visit my workshop via video for a few days. 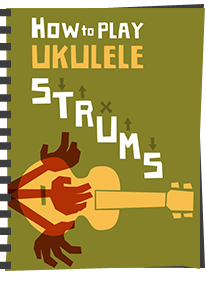 I don't think you will find any better combination of instruments than a ukulele and a wooden folk kazoo. The sound is beautiful, the "wow factor" is superb and the musicians you meet some of the happiest on the planet. My philosophy of customer service boils down to something that as a kid my mother taught me. "Treat everyone the way you want to be treated". 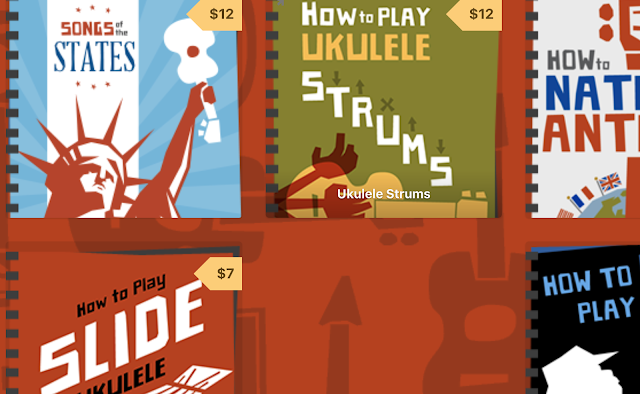 Happy Ukulele'ing and Kazoo'ing to everyone! Read this blog entry at 3:45 PM (EST). Ordered MY Kazoo at 4:00 PM (EST). Gonna start on Joe's Bluegrass Kazoo tomorrow! I too have ordered one of Doc's kazoos as a result of this post (and the sound sample). Thanks for posting it Barry! No brainer! Which model did you go for? Thanks to everyone for the great response to Barry's beautiful review of my FatBoy Kazoo. The response has been so great that I have to make a change in the handling time for shipping my made to order kazoos. I have had to change the handling time from "One Week to 7-10 Days". I continue to always ship on time, never ship late and most of the time ship early. I have made this change in handling time just in case I need the extra time. So far I haven't needed it but better safe than sorry I always say. I bought a Dual Resonator Kazarp Folk Kazoo - its more of a harmonica shape. Looking forward to getting it in a week or two! Great review, ordered a spirit chaser kazoo from Doc. His updates are great, it gives it a really nice personal touch to his builds. I suggested "maybe a pirate quuen one....?" And he made me the most amazing one! It looks like a pirate's cutlass, but the handle is the kazoo. It is fabulous!